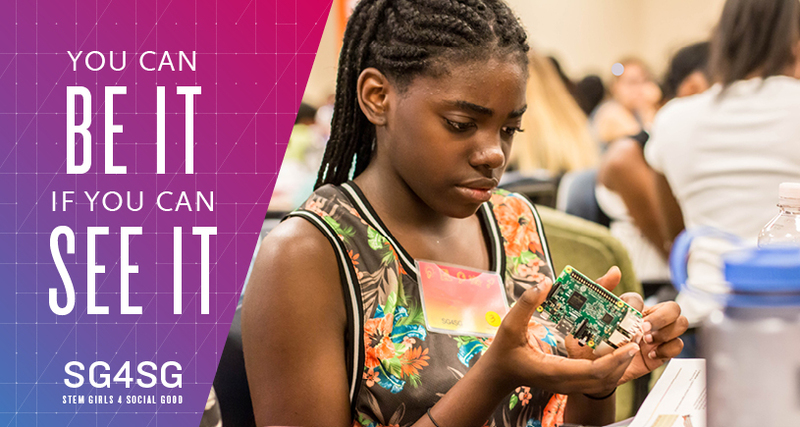 “We can't expect to bridge the gender diversity gap in the STEM fields if we don't have young women interested in STEM,” said Cheryl Wade, Booz Allen’s Diversity and Inclusion team lead and co-founder of STEM Girls for Social Good (SG4SG). To be part of the solution, Cheryl is opening a new world of possibilities for young women in Washington, D.C. Based on the idea, “you can be it if you can see it,” she partnered with the D.C. chapter of Girls, Inc. in 2015 to introduce a week-long event, SG4SG. This program aligns D.C.-area high school girls with professionals and summer interns working in the STEM fields to solve social good challenges. “To retain women in STEM careers, young women need the support of other women. We want girls and women to know that their unique perspectives are needed across the STEM fields and that Booz Allen is one place where their ideas are valued,” added Wade. The curriculum for SG4SG shifts focus annually, and this summer the girls and mentors tackled one of the most serious global economic STEM issues of our time: cybersecurity and safety. During the week, the girls participate in a series of sessions designed to teach the full lifecycle of cybersecurity problem solving—from deconstruction to exploration of STEM as a solution. "Increasing the number of women and diverse talent in cyber is critical to addressing the talent gap,” said Angela Messer, Booz Allen’s Cyber Functional Service Officer. “We need a social shift that encourages young women and girls to embrace cyber and other STEM skills." After completing the SG4SG week focused on cybersecurity, there was an 18 percent (nearly 20 percent) increase in girls who say they want to develop their cyber skills. A testament to the program’s impact. Today, Cheryl continues to be the change agent to empower the next generation of STEM talent, one girl at a time.